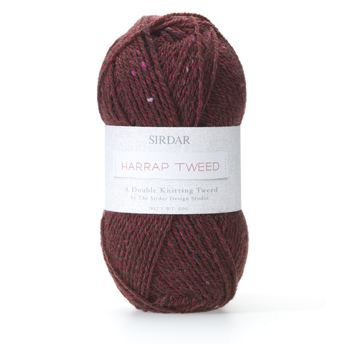 Sirdar Harrap Tweed is a yarn with a genuine heritage, the Sirdar company being originally founded by the Harrap brothers in 1880. It comes in a range of rich tweedy colours that have been inspired by the Yorkshire surroundings of the Sirdar head office in Wakefield. It has a beautifully soft blend of 40% Nylon, 30% Wool, 24% Acrylic and 6% Viscose. It is machine washable and incredibly versatile, making beautiful knits for women, men, children and the home – it is the perfect family yarn.